My Mom, Grace Hope died on 9/11, too. 9/11/2001 is a date that so many of us know as the infamous day when thousands of people died in New York City, Arlington Virginia and Shanksville, Pennsylvania. My mom died on 9/11, however, it was 9/11/1989. I was 28 years old,. An age that is not young, nor old, but there is never an ‘ok’ age to lose your mom. My mom was young – 56 years old. She didn’t die by disease, at someone else’s hand, or in any attack of planes, but by her own choice… She took her own life — she chose suicide. I’m writing this piece about my mom Grace, as a tribute to her, and to share with you how important it is for everyone to know about and discuss mental illness or what is now referred to as Mental Health Disorders. My mother had a mood disorder called bipolar, (it used to be called manic-depression). For most of my life she was highly functional in all aspects of her life, and many considered her to be the smartest, most creative woman they knew. She even went back to get her PhD as a Child Psychologist after my sisters and I were out of school. She was a great mother full of sound advice, very mellow, and raised us to be very independent and self-reliant individuals. There were many times though when her mental illness was very obvious. She became this ‘other woman’ who we didn’t recognize. For example, she was always very frugal with money and knew how to keep our family of 6 fed and clothed on just my dad’s teacher’s salary. So when she would spend money wildly on crazy things like buying an apartment and a camper van without anyone knowing in advance – we knew she was being controlled by her mental illness. Or when she would blast music in the middle of the night at full volume we knew she was being controlled by her mental illness. Bipolar condition is a chemical imbalance in people’s brains. People who have it, may experience shifts in their mood and in their actions, from the polar extremes of complete mania to severe depression. The range of mood swings will be different for each, and luckily, most of the time my mom seemed to be pretty stable. But when she was off — boy was it confusing as a kid and young adult. My mother was one of the people who did not respond positively to the medications that were available at that time to stabilize her. Plus, because she was so brilliant and a psychologist, she knew how to outsmart her therapists and convince them she was fine and didn’t need any intervention. My dad did the best he could keeping her safe and doing what ever was possible to get her the help and support she needed, but in the end, she was in a place of such low depression, and her mind was so clouded that she saw no reason to continue to live. She had so much dignity and respect for me and my sisters, that she actually called each one of us individually to say good bye. 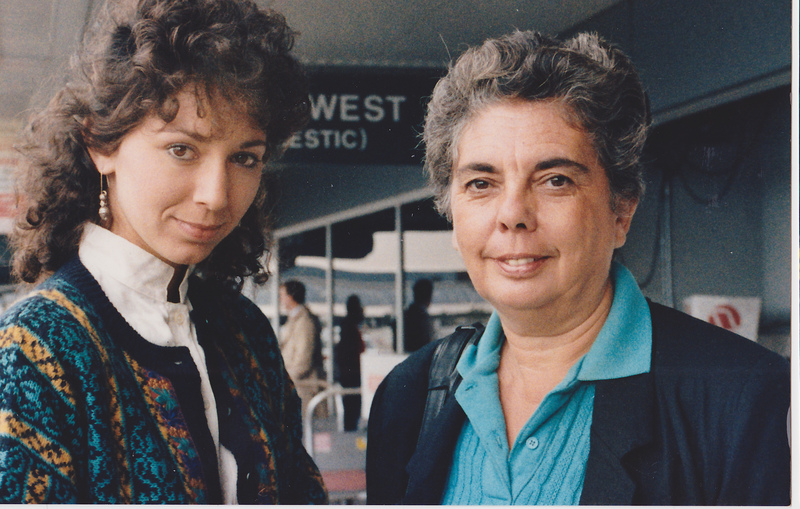 My mother was one of my inspirations for creating the Wellness Center we have now in San Francisco. 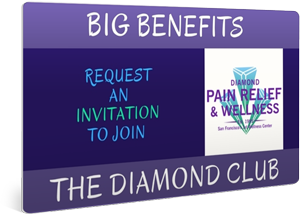 This will give you part of the back-story of Diamond Pain Relief & Wellness Center. As my mom’s middle name Hope, reflects, she had big hopes for helping as many people as she could, and she instilled that goal in me and my other three sisters as well. While growing up, Mom would bring home people to live with us who needed psychological help of some sort. Most often than not, we had one or more teenager or young adult as part of our “family”. My father was a professor at the University of Hawaii in the medical school and also works with people who need his counsel in his specialty, which is Human Sexuality and gender identification. As my sisters and I grew older, we (surprisingly or not) each went into a profession that also focused on helping people. My oldest sister is a Social Worker for child protective services, one of my sisters is a Special Ed teacher, my youngest sister is an Occupational therapist, and I’m a Pain Relief Specialist & Rehabilitation therapist. Mom would often comment how our whole family should set up a clinic or center to provide our variety of therapeutic services…. A seed was planted in the back of my mind. All of us live in various parts of the world, so it was never a real option to have us all practice in the same location. But, as my private practice began to grow, I needed a larger space so I could bring in other therapists to handle my client over-flow. 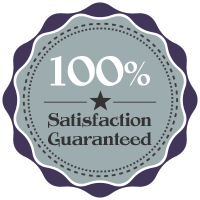 I decided to develop the idea of a one-stop shop for health and wellness services that was not a medical office. The concept was unheard of at the time. I liked the concept of ‘wellness’ and so named the business, Diamond Wellness Center. But keep in mind, this was back in 1994 and no one even knew the word “Wellness” so had to add “Massage” to the name, since massage was a known word so people could even understand what we were! Obviously if the person you love is in an extreme state it will be obvious that they need help, but often it is the inner turmoil that simmers below the surface of someone who has a mental health disorder that goes unnoticed until something drastic happens and then people wonder why they didn’t see the signs. You’ve read about it or experienced it in the person who suicides, the person who shoots their co-workers, the person who hurts their children because they hear voices… and the slow, depression that haunts so many people affecting not only themselves but their children, spouses and families. In most situations, the signs of mental health disorder are there for us to see – there are many types of disorders and some of the most common are psychotic, anxiety, eating, and personality disorders. Open your eyes and heart and don’t be afraid to talk about thoughts of suicide or depression. Many times the person who has it either doesn’t recognize they have it or are embarrassed to tell anyone. It occurs in children and adults. Discuss mental illness openly, just as you would if it were grandma with a heart condition, or your cousin with diabetes… Mental illness needs to come out of the shadows. When people are more open about mental health issues they have more power to support those who are afflicted with a disorder and can be a better support for the families too. Each month, Diamond Pain Relief & Wellness donates a portion of our proceeds to the San Francisco Suicide Awareness & Prevention organization. In honor of all people who died on September 11th, and all the Mothers & Fathers, Grandparents and siblings who may be suffering with mental illness, depression or other internal (not-so-visible pains) out there, please call your loved ones if they are still alive, and the other important people who are still in your life, and even any first responders you may know & tell them how much you appreciate them! Please remember to be loving to those around you who may need extra support. How can your mom die twice ? and why didnt you request for them to show proof they have of your mother being killed on 9/11 so they can mark off one more from the list of thousands of victims. and why are you not outraged that they used your moms name in this context cause its obviously something they had to do on purpose by naming people already dead years ago because not as many died on 9/11 as they say. That’s the only reason i can think of for them to lie about the people who died. how do you take that and just brush it off? why didnt you leave that part out out if it wasnt even relative to you message anyways. Your message was about mental illness which is a serious matter, however you mention her dying on 9/11 “too” why would you add that in if it literally had nothing to do with your origin story for the wellness center? I wrote this as a tribute to my mom who dies on 9/11/1989 and to all the people who died on 9/11/2001 AND to all the people and families affected by mental illness. She didn’t die twice, it’s that 9/11 was an important date twice for me. She chose to die due to the mental illness, and picked 9/11, obviously without knowing what was to happen on that same date many years later. Mental Illness is a horrible situation for all concerned and my goal is to bring it out in the open and talk candidly about it. There should be no stigma attached and spoken about (and treated) as openly as a diabetes or cancer diagnosis.